(23 cm), v (3), 75 (1) pp. 610 catalogue entries. Publisher’s printed wrappers. 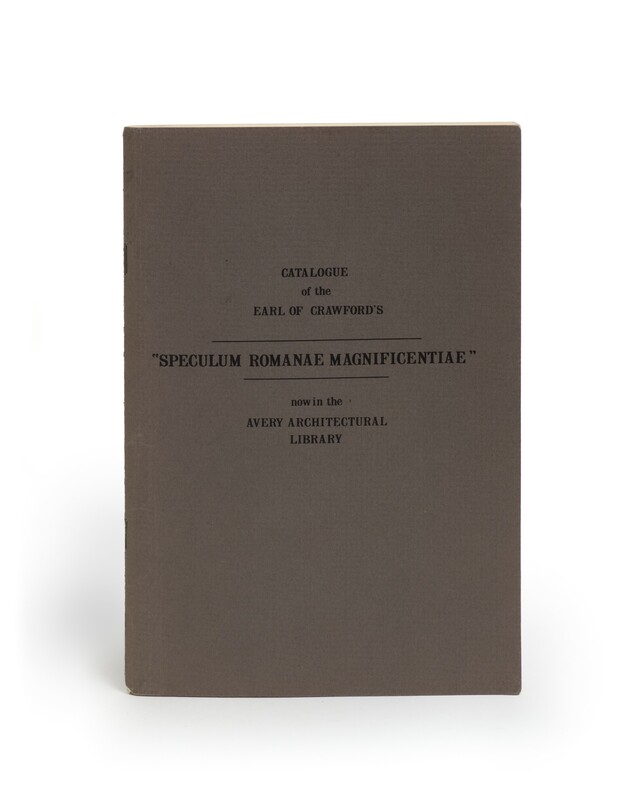 - The Avery Library’s copy of Lafréry’s “Speculum Romanae Magnificentiae” was purchased from H.P. Kraus in 1950. It had been concocted by James Ludovic Lindsay, 26th Earl of Crawford (1847-1913), from multiple copies, and contains many extraneous prints. Appended are concordances to the Kraus sale catalogue (c. 1950) and to Christian Huelsen’s checklist (in Collectanea variae doctrinae Leoni S. Olschki, Munich 1921), and an index of proper names. ¶ Good copy. Offered with Speculum Romanae Magnificentiae. Sonderdruck aus unserem Auktionskatalog (catalogue for Auktion 83, conducted by Reiss & Sohn, Königstein im Taunus, 24-27 April 2002). Königstein: Reiss & Sohn, 2002. (23 cm), (4) pp., pp.403-430, lots numbered 3305-3427, illustrations. Publisher’s pictorial wrappers. 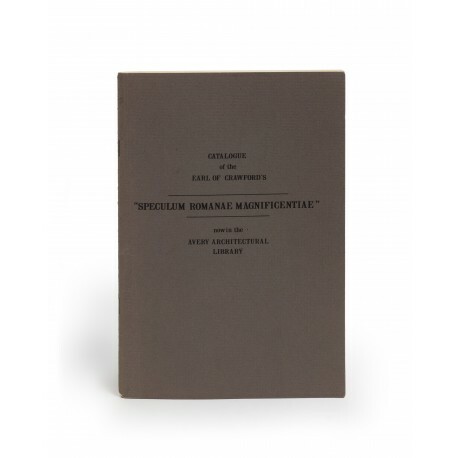 - Two collections of prints association with Lafréry’s “Speculum”: “the first a collection of single prints collected one by one over the last forty years of the 20th century”, “the second compiled around 1595 and bound together” in 19th-century half-calf (title and 149 prints). ¶ Good copy.